Before I get into the content, I wanna clarify that I am a big fan of beef brisket rice noodle. 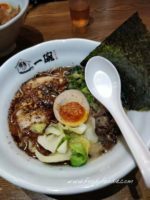 As you continue to spot on my blog, you might occasionally see me post about beef brisket rice noodle soup lol. Cha Chaan Teng (literally as “tea restaurant) is where local Macau/Hong Kong people like to have breakfast or lunch. Unlike the western Cafe where people enjoy fancy, well decorated food and drink. Cha Chaan Teng often provides affordable menu and quick food. 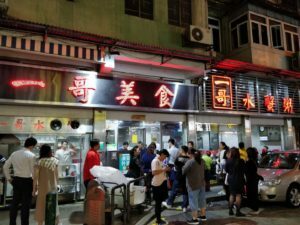 If you eat in Cha Chaan Teng, please do not expect there is any service. I personally like to have my breakfast in Cha Chaan Teng to start my days before I head to work and my favorite combination is beef brisket rice noodle soup and Hong Kong style milk tea, that’s why I’ve been trying many beef brisket rice noodle soups around Macau, and this restaurant probably is one of the best one out there. 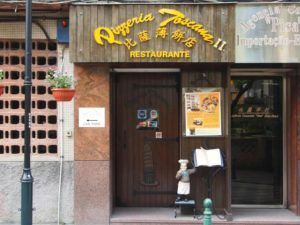 Po Tsui restaurant is located at the residential area in Macau island where no tourist, no tourist attractions around that region. Everything is just super “local”. Traditional way of making beef brisket is to marinate the beef with the sauce made with bean, garlic, ginger and sesame. Slow cook the beef brisket until the texture become soft and tender, the taste of sauce totally soak in the beef. 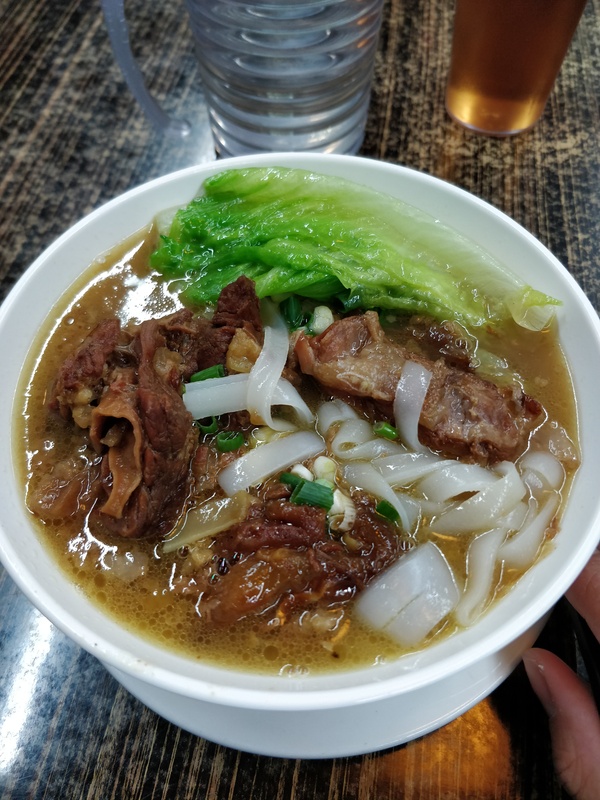 The beef brisket is real tender and they make the noodle soup very tasty. If you love spicy I recommend you put some chili oil (hot sauce). The best part of beef brisket is always attached with slight fat beef tendon. Excellent!